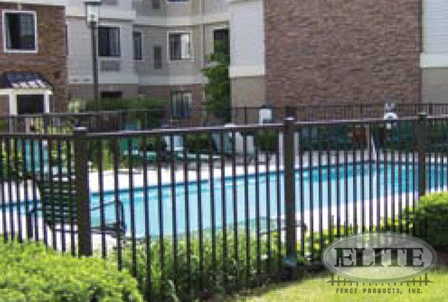 Our 4 ft. high LifeGard aluminum pool fence is ideal for swimming pools and meets the 1996 BOCA pool code. 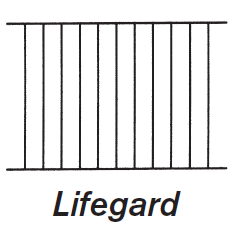 Our LifeGard aluminum pool fence is constructed of 1-1/8"x 1-3/4" rails, 3/4"x 3/4" pickets, and uses 2"x2" or 2-1/2"x 2-1/2" post. Our horizontal rails have been engineered for a unique style and maximum strength. 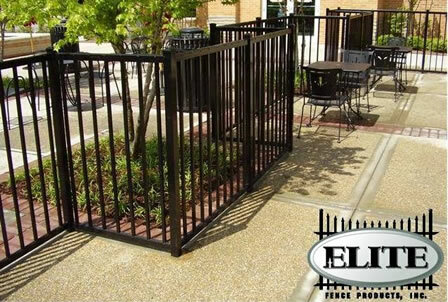 The LifeGard aluminum pool fence is a 2-rail flat top style fence, which is available in five standard colors: Black, White, Quaker Bronze, Beige and Hartford Green. 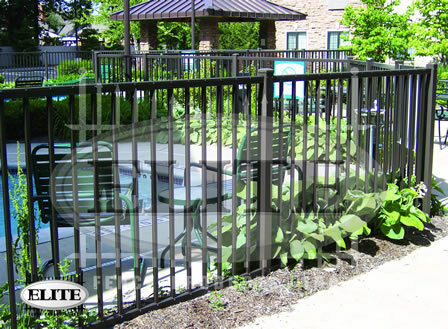 We offer matching gates in single entry and double drive to match the LifeGard pool fence. We also offer Curved Top gates in LifeGard to suit your needs. All gates include self-closing hinges and self-latching gate hardware. If it is a cantilever gate you are after then look no further than one of our exclusive ZipTrack® aluminum cantilever gates. 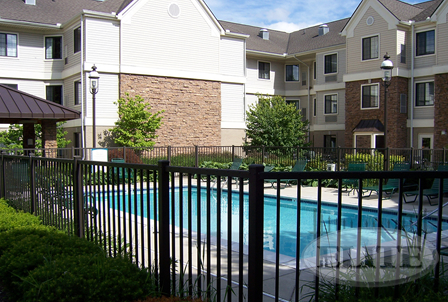 Other styles and grades are available that meet pool code requirements. Inquire about our other styles and grades that meet pool codes. Picket Spacing 3-31/32" or 1-5/8"